While Xiaomi is celebrating the fifth anniversary of Redmi phones, its Global VP and India Head Manu Kumar Jain has hinted at a new Red-coloured Redmi model that could soon debut in the country. It is unclear that which handset that the Beijing-based company is planning to launch for the Indian customers. However, the smartphone vendor last month launched the Redmi Note 5 Flame Red editionin China as its new model in a Red paint job. The new Redmi Note 5 variant sits alongside the Rose Gold, Gold, Black, and Magic Blue colour options. Notably, the last and probably the first smartphone that the Chinese company brought in Red colour to the Indian market was the Xiaomi Mi A1 Special Edition Red variant that was launched in December. To recall, the Redmi Note 5 model launched in China is actually a variant of the Redmi Note 5 Pro that was first launched in India. 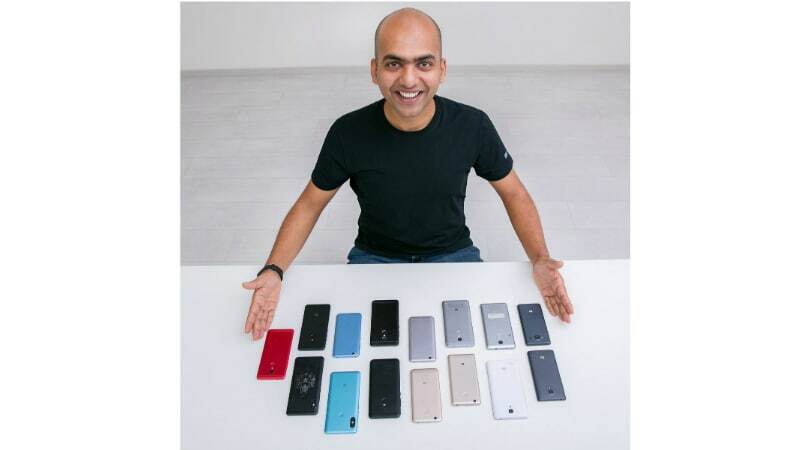 Jain through a tweet on Thursday shared an image showing all the Redmi-Series models that he used till date. The image included the Red-coloured model as well. Instead of showing the model in question from the front and back, the image showed the handset only from its back. We could believe that the Chinese smartphone maker is planning to bring the Redmi Note 5 Flame Red edition to India. However, the image doesn’t show the dual rear camera setup of the new smartphone. It instead exhibits a single rear camera that is aligned with a fingerprint sensor. This suggests that the handset could be the Red variant of the Indian Redmi Note 5 model that was launched in February – alongside the highly popular Redmi Note 5 Pro. If not the Redmi Note 5, the Red model in Jain’s image might be suggesting a new Redmi 5 variant. Xiaomi launched the Redmi 5 in India in three different RAM and storage variants as well as in Black, Gold, Lake Blue, and Rose Gold options. The handset comes with a starting price of Rs. 7,999 and is available as the successor to the Redmi 4. While it was initially available through the company’s traditional flash sale model, the Jain-led team in April announced an open sale of the smartphone to start expanding its reach. We may need to wait for sometime to see what’s next in Xiaomi’s basket for the Indian market.